Showcase 500 art necklaces. I was happy with the book. There are some amazing pieces that are museum quality and some pieces that jumped off the pages and excited me. 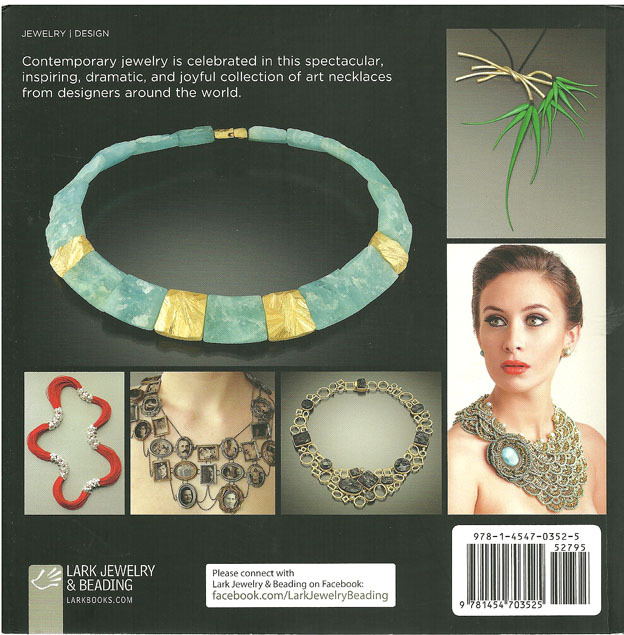 I am thrilled to see some of my beading pals in the book as well. 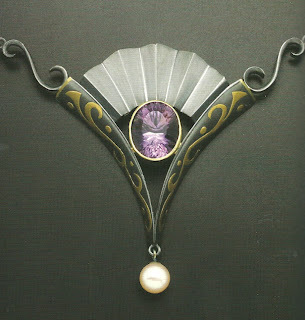 There is a bounty of inspiration for any level of beader or artist. As with all of Lark's 500 series the book is of high quality, beautiful photos that are submitted by the artists. Some taken by professionals and some by the artists themselves. 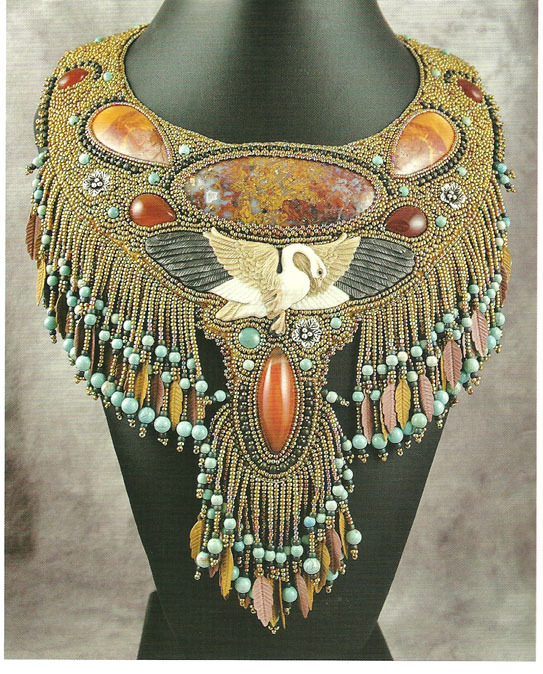 I also like that the book shows an even variety of materials used for the jewelry. If you don't have a 500 series book this would be a great one to start with. 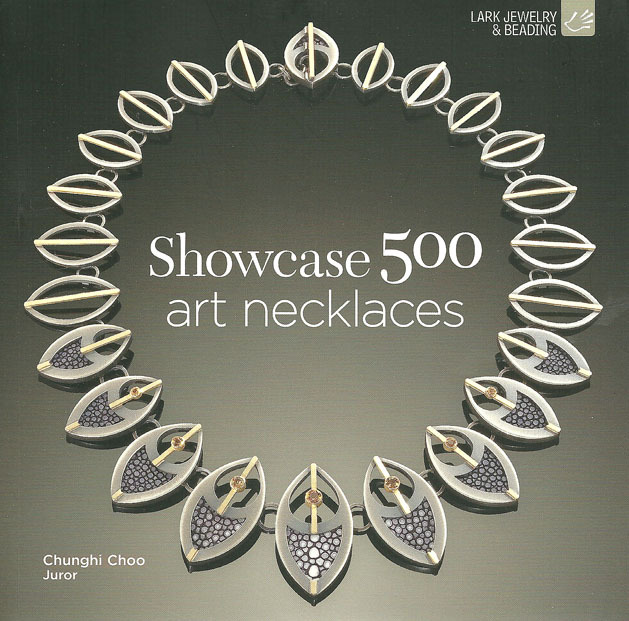 Showcase 500 art necklaces is a 420 page paper back. This piece really stood out for me. Kazuhiko Ichikawa "Purple Mirage"
My good friend Susan Horine "Take a Gander"
This incredible piece by Jocelyn Kolb "Inflorilllumini"
Looks like a great book Nicole. 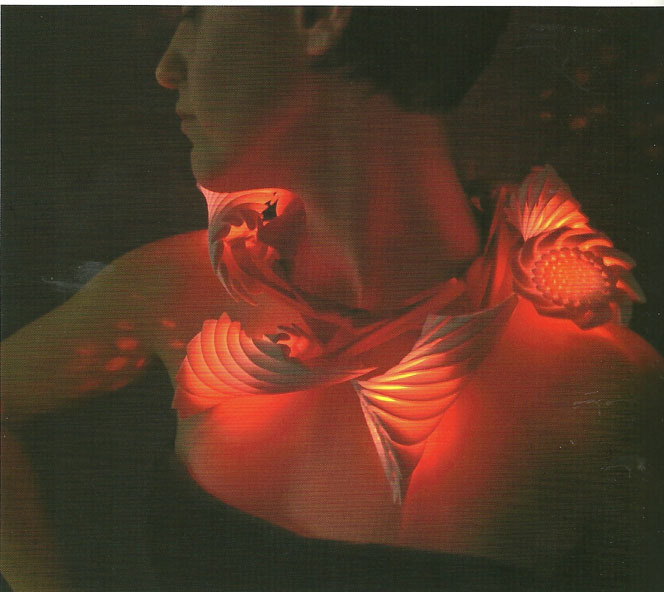 These necklaces are just awesome. Thanks for sharing them. Have a wonderful day and hope you are feeling good. Looks like a very interesting book indeed. Thanks for the review! Wow ! lovely necklaces . I have a couple of 500 series books and love to go through them again and again. And this one seems more inspiring especially as I am into making necklaces these days ! Thanks for the review , can`t wait to get hold of the book to see more amazing creations ! The pictures in this book are stunning!! !